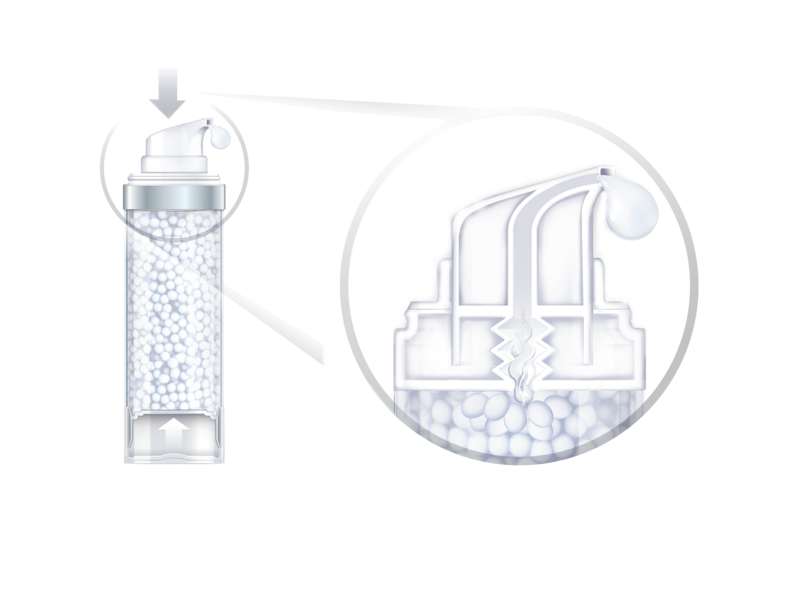 The unique and patented NIVEA CELLULAR VOLUME FILLING PEARLS formula contains the highest concentration of Hyaluronic Acid within the NIVEA CELLular range, Collagen Booster* and Creatine. With each use, the pearls dissolve into a freshly activated serum stimulating cell renewal. The pearls are embedded in a moisturizing hydrogel. With each use the pearls and the moisturizing gel are freshly blended together, supplying your skin with anti-ageing ingredients and moisture. By pressing the dispenser’s head, the high-performance pearls and the moisturizing gel are drawn into the head and freshly blended together. Regularly applied, the freshly activated, silky serum leaves your skin looking fuller, firmer and younger. Its formula is designed to make the skin feel soft and supple. The light and silky serum becomes transparent once spread on the skin supplying it with intense moisture without a heavy cream feeling. Hyaluronic Acid is a molecule that occurs naturally in the skin and helps to increase cells’ ability to bind water. At a young age, the human skin is very rich in natural Hyaluronic Acid as it is still able to replenish it daily. As we get older, our skin loses the ability to produce enough Hyaluronic Acid which can contribute to dehydration of the skin, volume loss and wrinkles. NIVEA CELLular Volume Filling Pearls containing concentrated short-chain Hyaluronic Acid has a plumping effect. The formula with these moisturizing molecules helps the skin to look smoother and plumper. The formula contains the highest concentration of Hyaluronic Acid within the NIVEA CELLular range. The formula contains Collagen Booster* activating the production of collagen to strengthen the skin structure. Creatine is known for supporting the energy supply and metabolism in skin cells, which helps to counteract signs of ageing. 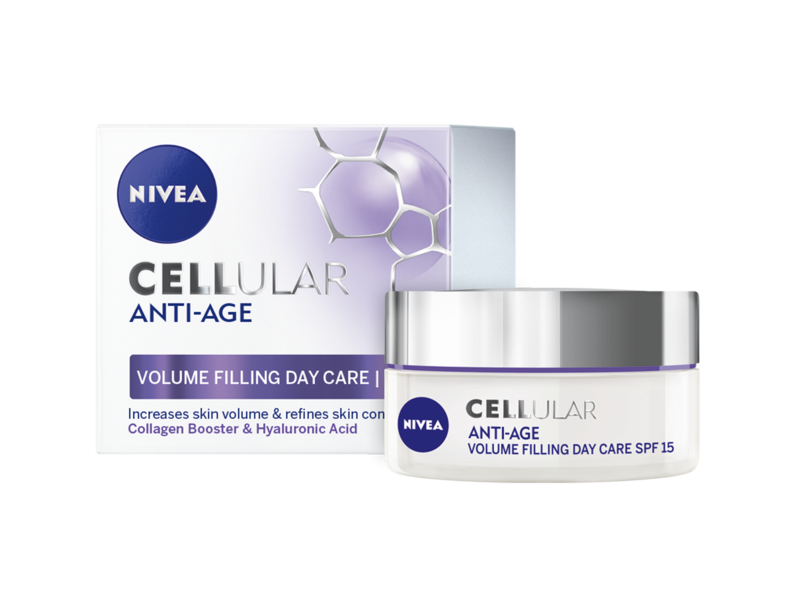 The intensively caring NIVEA CELLular Volume Filling Day Care formula with Collagen Booster* and Hyaluronic Acid increases skin volume and refines skin contours. It comes with a SPF15 UVA&UVB protection system and helps to protect skin from UV-induced photo-ageing, cell damage and age spots.